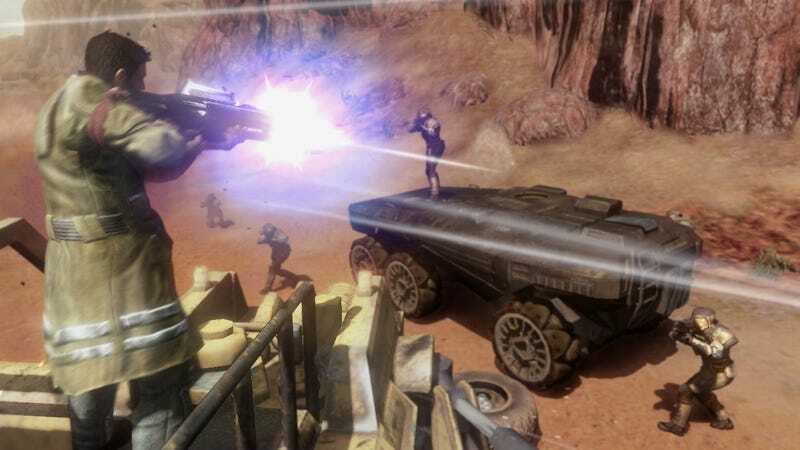 Red Faction: Guerrilla, the free-roam action game where you blow up buildings on Mars, just got a free "Steam Edition" update on PC. Among other things, the patch moves the game to Steamworks, adding leaderboards, achievements and trading cards, and completely removes Games for Windows Live. Full patch notes here.